Abby the Librarian: Giveaway! Signed Nightshade ARC! I didn't come back from the Anderson's YA Lit Conference empty-handed. No, no, no. 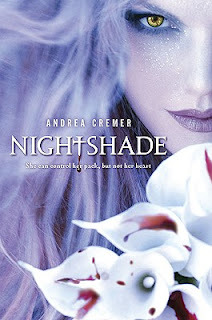 In fact, I picked up an ARC of Nightshade by Andrea Cremer and got it signed! For you! Just fill out the form below to enter. Each person may enter the contest once and the giveaway is open to everyone anywhere. Entries will be accepted through Sunday, October 10 and one winner will be selected randomly on Monday, October 11.